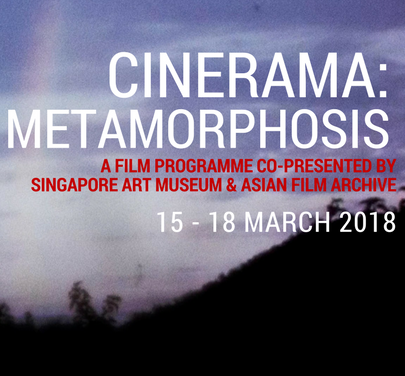 As an extension of and in dialogue with the Cinerama exhibition, Singapore Art Museum and Asian Film Archive presents Cinerama: Metamorphosis – a film programme featuring films which will reframe how we perceive the moving image. From award-winning films making its Singapore Premiere, to a collection of international short films, don’t miss these fresh perspectives by filmmakers from around the world. Find out more about the films and get tickets here. All screenings will be held at Moving Image Gallery, Singapore Art Museum at 8Q from 15-18 March.